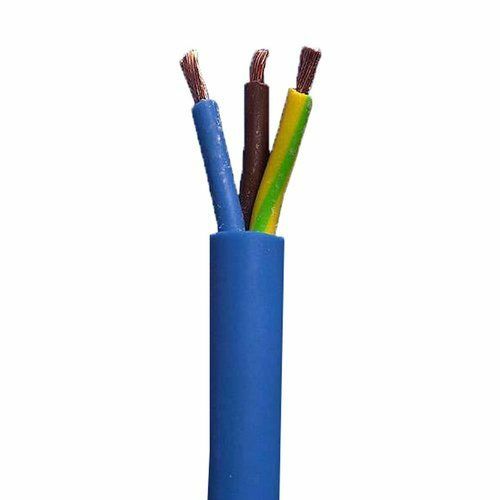 The Zexum 4mm 3 Core Arctic flex Cable 3183AG is a 32 Amp Brown, Blue & Earth Flexible PVC Circular Wire for Indoor and outdoor uses such as Caravans, Camping, Generator and Construction Site leads as well as Musical Events for protecting equipment. The 4mm arctic blue cable is suitable for use in low temperature domestic, commercial, indoor and outdoor conditions. It can be used for general electrical and security applications where there are low temperatures such as Power Tools, Caravan Cables and portable devices. This round PVC core flexible cable is manufactured to remain more flexible than standard flex. The arctic grade flex will be supplied in a single length up to 100m, unless otherwise stated. A quality, well constructed arctic cable which is easily stripped and worked with. Great price, arrived quickly and exactly as described. What more can I ask for or say? Good quality, and the best value I could find. Wasn't available from a number of local retailers.